Interserve is in talks to clean up its balance sheet. While banks may agree to write off a chunk of its nearly 615 mln pounds of debt, costly delays and botched projects remain. The biggest challenge will be convincing creditors and the government it can deliver public services. Interserve offices are seen in Twyford, Britain January 17, 2018. Shares in Interserve plunged on Dec. 10 after the British outsourcing company announced a rescue plan that was likely to see a big part of its debt converted into new equity, potentially handing control of the company to its creditors. 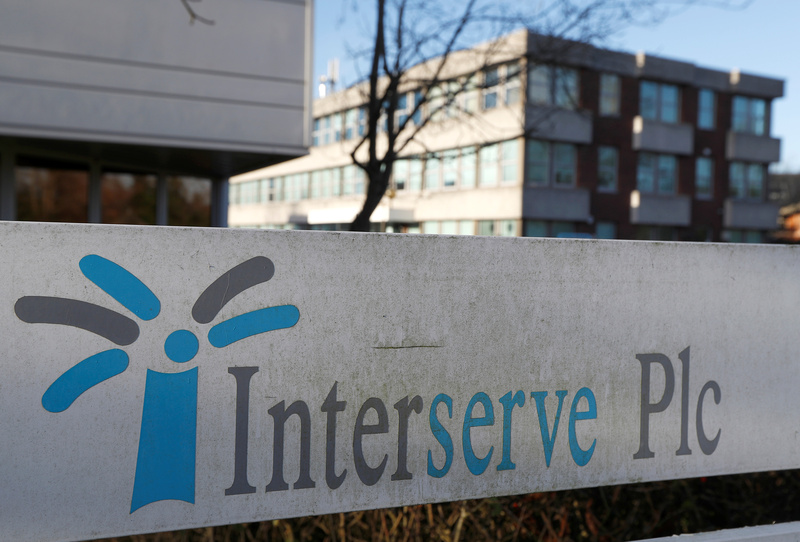 Interserve, which employs 75,000 worldwide and has thousands of UK government contracts to clean hospitals and serve school meals, said on Dec. 9 it would seek to cut its debt to 1.5 times EBITDA in a plan it hopes to finalise early next year. Interserve Chief Executive Debbie White reiterated that the company’s fundamentals were strong and that the debt reduction plan, first raised in a refinancing in April, had government support. The company said then that it expected year-end net debt in the range of 625 million pounds to 650 million pounds. Shares in Interserve were down 49.4 percent at 12.98 pence by 0936 GMT on Dec. 10.